I've been busy working on several writing projects, while still making time to do some sketching. I now have a series of illustrated greeting cards available for your letter-writing adventures. Click here to order yours today! In mid-February, I gave an invited talk to the UW Dept. of Zoology & Physiology. It was entitled: "Drawn to Science: Exploring the Historical and Contemporary Synergies between Drawing, Creativity, and Science," and a recording is available to watch via WyoCast. 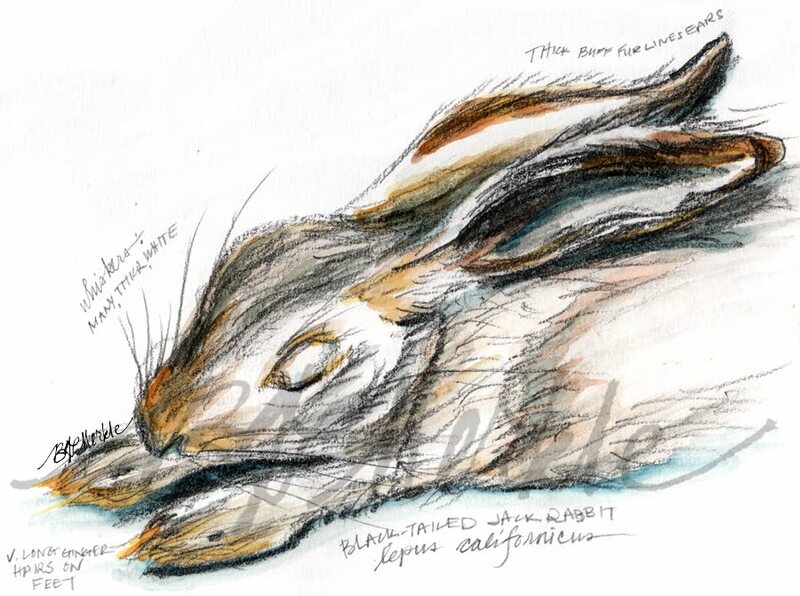 Wyoming EPSCoR recently interviewed me about the nature drawing/field journal workshops I teach (most recent workshop was for Biodiversity Institute on 3/5). 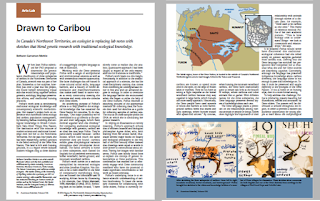 I have begun writing an illustrated natural history column for literary/arts/nature children's magazine root & star. My first piece was published in the spring 2016 issue. 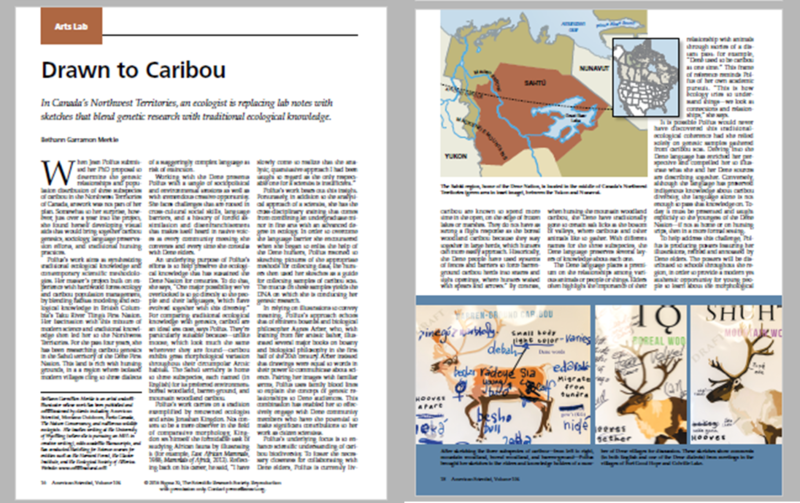 An article of mine was published in American Scientist - Drawn to Caribou - about the caribou researcher I visited in the Northwest Territories a year ago. Stay up to date by subscribing to my monthly newsletter. 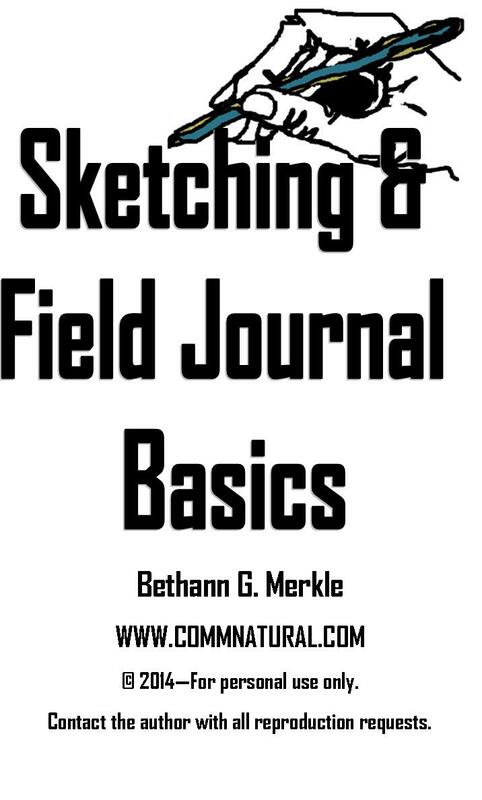 You'll also receive a monthly sketching tip, ideas for using drawing for research and education, notice of when I have workshops and new products out, and peeks into my sketchbooks! Click here to subscribe.